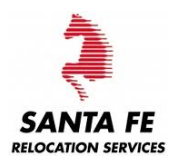 Santa Fe Relocation Services is a leading Relocation Services Company, providing a comprehensive range of the highest quality services, including; Immigration / Visa, Home / School Search, Language / Cultural Training, Tenancy Management, Financial Management and Moving, to individual and corporate clients. Established in Hong Kong in 1980 and acquired by EAC www.eac.dk in 1988, Santa Fe has continuously expanded operations throughout the region and currently operates through offices in 14 countries and 39 cities and territories across Asia and the Middle East, including; China, Hong Kong, India, Indonesia, Japan, Macau, Malaysia, the Philippines, Singapore, South Korea, Taiwan, Thailand, United Arab Emirates, and Vietnam. Have experience in Human Resource and related issues min. 2 years. Computer literate, proficient in work processing, spread sheet, visio, and chart application. Have experience in Corporate Legal and related issues min. 4 years.